Stephanie Garcia Richard’s executive order putting an end to New Mexico animal-killing contests has saved thousands of coyotes from wanton slaughter. The state’s just-appointed land commissioner decided to start her tenure by dealing with one of New Mexico’s most horrific traditions. 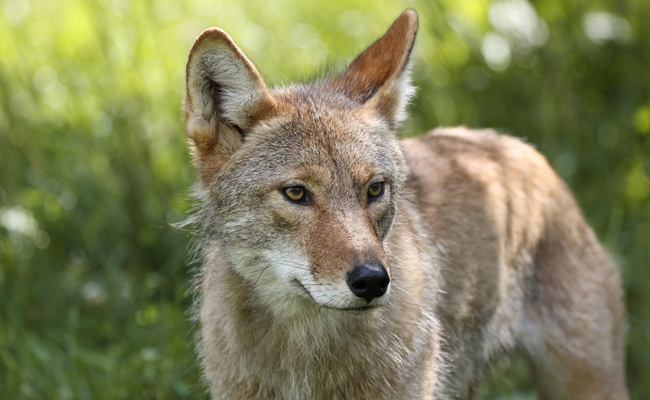 While coyotes are not a protected species, and they may be legally hunted, it will no longer be legal to organize contests or parties in which hunters slaughter as many of the canines as possible in a short period of time. These kinds of events are not unique to New Mexico by any means, nor are they limited to coyotes. In the 19th and early 20th centuries, it was not uncommon for the government itself to promote mass slaughter of coyotes or wolves. At the time, limited thought was given to what a healthy and balanced population would look like in light of the larger ecosystem. The goal was just to reduce the loss of livestock for human convenience. This remains a problem today because even species that are not protected could be in serious danger if habitat loss or hunting is left unchecked. And there’s hardly anything more unchecked than a coyote-killing contest, essentially an exercise in excess — both in terms of overhunting and cruelty. The sudden depletion of coyote, wolf or fox populations has a ripple effect through the food web. With predators suddenly absent, populations of prey animals like deer and rabbits suddenly explode. As a result, vegetation becomes decimated and food runs short, leading to massive starvation. Plant species might take years or decades to recover, and all affected plant and animal populations will be in flux for a long period of time. Garcia Richard calls these contests an exercise in animal cruelty. That’s a correct assessment, but the cruelty extends to deer who experience mass starvation, other species rendered unable to find food or shelter, surviving predators whose packs and families have been thrown in disarray, and subsequent generations of wildlife dealing with the fallout. You may not buy the commissioner’s views on ethical hunting, but eliminating these kinds of gratuitous killing contests is absolutely a win for both wildlife conservation and humane treatment of animals. Hunting may not disappear any time soon, but mass slaughter could. Legislation similar in language and purpose to the executive order of New Mexico’s land commissioner should be applied across the country, starting with all federal lands. It’s well past time for killing contests, of any animal species and in any state, to become extinct. Urge U.S. Fish & Wildlife to eliminate these kinds of gratuitous killing contests by signing this Care2 petition. Until there are humans, nobody is safe. It seems that there is still a way to go.